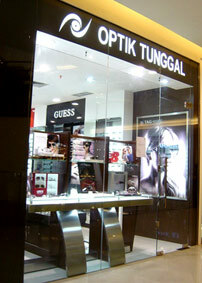 Optik Tunggal Sempurna Semarang menyediakan aneka kacamata, frame, softlens dan lensa dari merek merek terkenal. Kacamata dan Frame: Cartier, Fred Lunettes, ST Dupont, Prada, Burberry, Ray Ban, Aigner, ic berlin, Davidoff, Guess, Vogue, Braun Buffel, Ted Baker, Pepe Yeans, OGA, TAG Heuer, Range rover, Reebok, Lacoste, Speedo New Balance, Levi’s, Elle, Esprit, Ted Baker dan Rip Curl. Softlens: Acuvue & Cooper Flex. Lensa: CARL ZEISS, Zeiss 1.74, Zeiss Gradal Individual FrameFit, Clarlet Loop, GT2 Asiana, Lotutec Lens Coating, MyoVision™ by Zeiss, SOLA, Younger Optics, Trilogy® 1.53 Trivex® – Spherical Single Vision Clear, Image® Progressive Clear, Spherical Single Vision Transitions® Gray, Image® Progressive Transitions® Gray hingga Transitions. 1. Ciputra Mall, 1st Floor #18, Jl. Simpang Lima Semarang, nomor telepon (024) 841 5977. 2. Paragon Mall, 1st Floor #05, Jalan Pemuda No 118 Semarang 50132 Semarang, telepon (024) 86579123.